Matt Nokes Silver Slugger Award Winner "Pyramid of Hitting"
Transforming more hitters and coaches. Easy to follow, packed with drills, action steps and anecdotes. Using the ground without leaking. Uncovering an efficient swing lever system. Course 1 Blocking: This video focuses on using your lower half by hitting from the ground up, which is one of the most misunderstood movements in a hitters approach and swing. There are MANY myths surrounding the use of your foundation (lower half,) causing a multitude of problems which lead to slumps. Most slumps begin from the first movements in your the lower half, creating a domino affect. Course 2 Angles : This course is about finding your best angle to the ball. Angles represent the positions and angles of all your levers, beginning from your legs and moving up through your system, effecting your posture, hip and spine angles, core rotation, shoulder turn, arm and wrist movements, finishing with your bat angle. If your angles are off even a little, the errors compound and leave you feeling lost in your mechanics. Most players could get out of their own way mechanically if they simply understood the lever system and the angles that are most efficient for your hitting style. This video if filled with explanations, and most importantly the drills needed to train your body to line up your levers for your best angle to the ball. Timing: Reveals how to dance with the pitcher. The secret to successful hitting starts with a consistent approach to timing the pitchers delivery, and this video teaches the most effective method for syncing up the rhythms presented by the pitcher. Coping with the pitchers delivery is a skill that can be developed if you understand Timing theory, Timing absolutes and Timing drills that develop your ability to find your perfect timing. Strategies of the Major League Plan – The best hitters have strong disciplined minds, with a focused time tested mental approach. Hall of Famer Frank Robinson took me under his wing and gave me the plan. The experience changed the course of my career, teaching me the thought process of the big league hitter. I became disciplined with my plan right away because I knew I was finally hearing the truth. Following this plan throughout my career allowed me to hit with conviction and I quickly reached the Major Leagues at the age of 21. 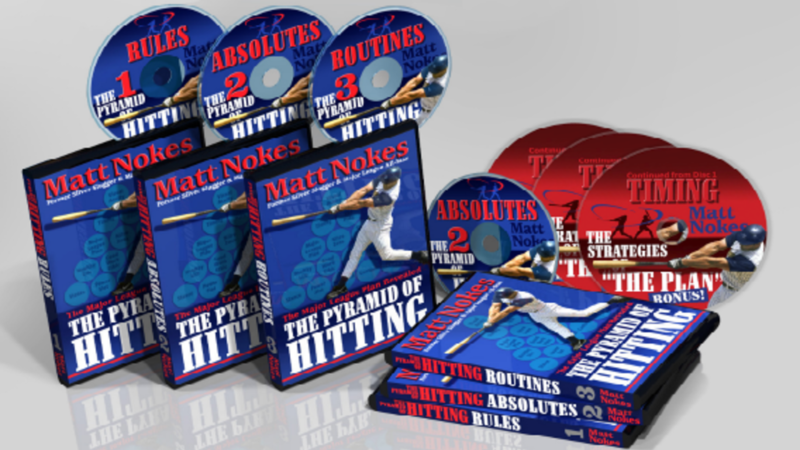 In this video, you’ll learn how to organize your thoughts, zoning, visualization, pitch strategies, and develop the discipline needed to take you to the next level or all the way to the big leagues.